Efunporoye Osuntinubu Olumosa (often shortened to Efunroye Tinubu) was a shrewd and ambitious Nigerian business tycoon who wielded enormous economic power across Western Africa and political power in Abeokuta and Lagos. She was born around 1805 in the Yoruba town of Abeokuta in Western Nigeria. She married a man and had two sons with him, but he died soon thereafter. Newly a widow and single mother, she started trading tree bark and leaves to make a living. She had learned valuable market skills from her grandmother, Osunsola, who traded in tree bark, roots, herbs, and leaves. She also learned business skills from her mother, Nijeede, who had been a food seller. In 1833 Tinabu remarried Adele, an exiled oba (king) of Lagos. With this marriage she began to accumulate economic and political power. The two moved to the coastal city of Badagry, where Tinabu, using her husband’s connections, built a successful business empire trading salt and tobacco from Europeans for slaves from Abeokuta. Tinubu then moved to Lagos after Adele returned to his throne in 1835. Unfortunately, Adele died just two years later in 1837, making Tinubu a widow for the second time. She helped install Adele’s son, Oluwole, as the new king and married his military advisor, Yesefu Bada. She also continued to expand her trade network by monopolizing slaves and palm oil, and offering firearms obtained from the Europeans, which increased her wealth during the Yoruba Wars of the 1840s and 1850s. After the accidental death of Oluwole, Tinubu arranged for her brother-in-law, Akintoye, to take the throne in Lagos. He in turn rewarded her with ownership of valuable stores in downtown Lagos. She made other investments in Lagos’s business district and built a huge personal residence to reflect her new status. Tinubu was also rumored to own three hundred sixty personal slaves. By 1845, as European nations repudiated slavery and turned to commercial crops from West Africa, she expanded her empire by controlling the major new items of commerce: palm oil, coconut oil, and cotton. Tinubu now established foreign trade alliances and brokered deals with European and Brazilian political and military leaders. She was the major conduit in Lagos between European traders and merchants from throughout the Nigerian backcountry. Tinubu fell from power in Lagos when she challenged British Consul Benjamin Campbell who railed against her economic hegemony and secret slave trading with Europeans and Brazilians. Tinubu in turn publicly castigated Campbell for his infringement on royal authority and sovereignty in Lagos. She organized a plot to remove Consul Campbell but before it could be implemented, Campbell confronted her with British gunboats in May of 1856 and demanded her exile from Lagos. In the face of superior British military power, Tinubu was forced back to Abeokuta. 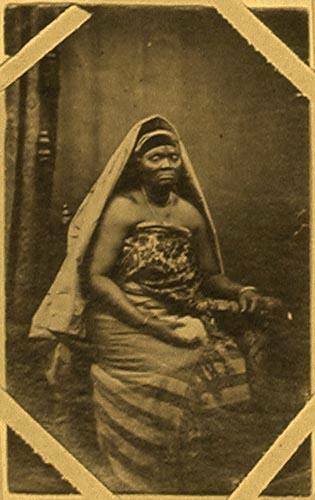 She nonetheless remained a major trader in the interior of Nigeria until her death in 1887. 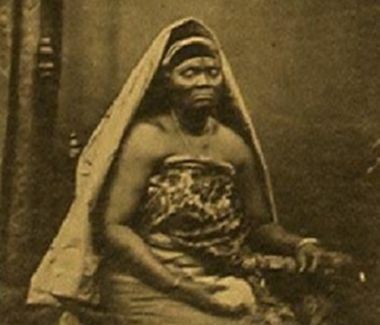 Tinubu, the royal wife, political advisor, nationalist, and economic powerhouse remains one of the most important figures in 19th century Nigeria to this day. Tinubu Square in Lagos remains one of the major commercial hubs in the city, a lasting tribute to her success. Gloria Chuku, "Tinubu, Efunroye," Dictionary of African Biography, Henry Louis Gates Jr. and Emmanuel K. Akyeampong, eds. (New York: Oxford University Press, 2008); "Tinubu, Madame (1805-1887)," New Encyclopedia of Africa, John Middleton and Joseph C. Miller, eds., 2nd ed. Vol. 5 (Detroit: Charles Scribner's Sons, 2008).